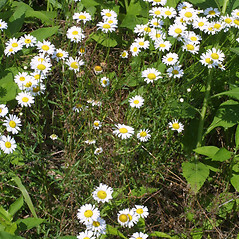 Ox-eye daisy is native to Europe and Asia and introduced worldwide as a garden ornamental. 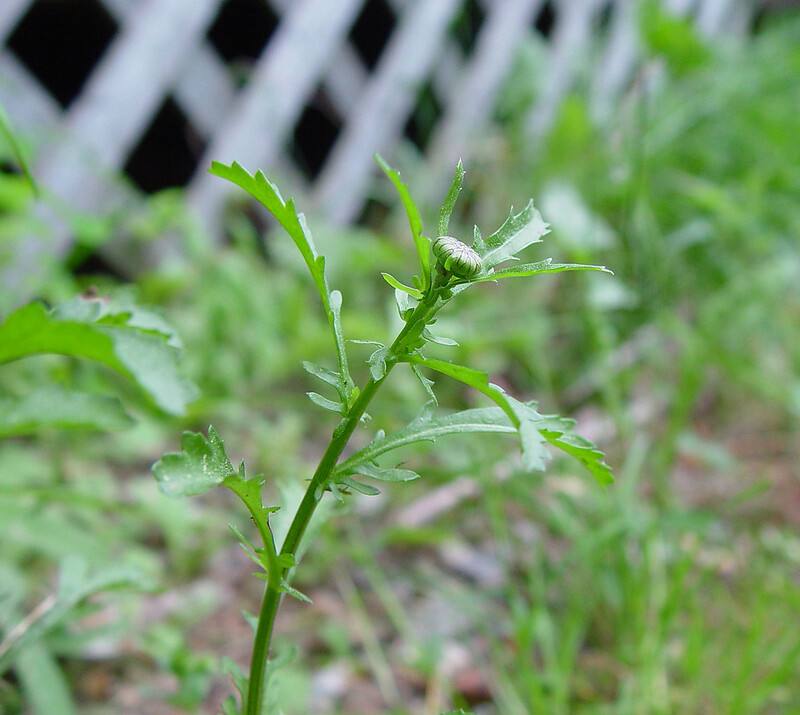 It is considered a noxious weed in some states. 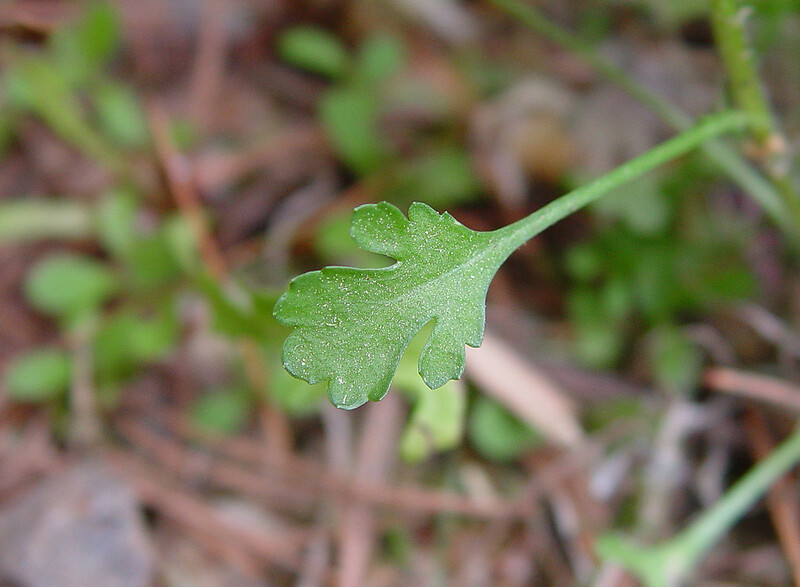 The leaves can be eaten raw throughout much of the season with no bitter flavor. 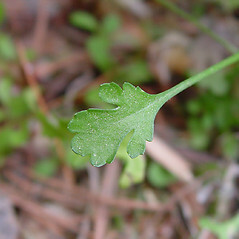 ray flowers sterile, not producing fruits, leaf blades glandular-punctate, and disk corolla tubes provided with resin glands (vs. L. vulgare, with ray flowers fertile, producing fruits, leaf blades without glandular-dots, and disk corolla tubes lacking resin glands). 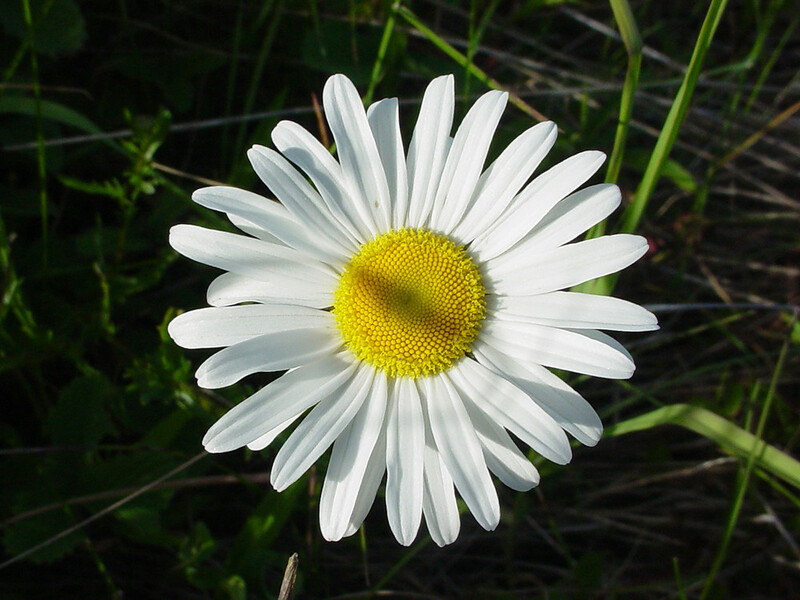 ox-eye daisy. 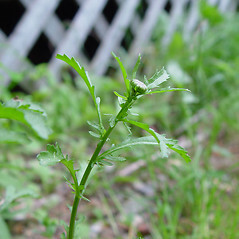 Chrysanthemum leucanthemum L.; C. leucanthemum L. var. pinnatifidum Lecoq & Lamotte; Leucanthemum leucanthemum (L.) Rydb. 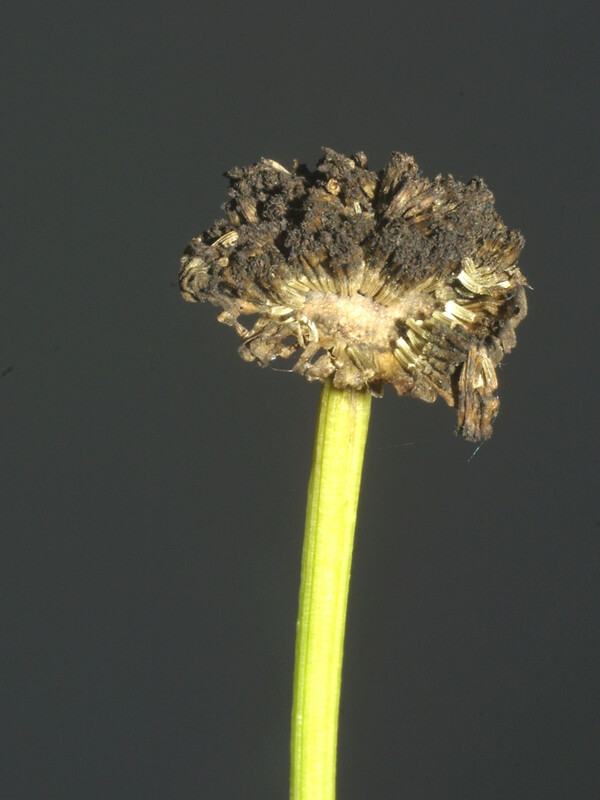 ; L. vulgare Lam. var. pinnatifidum (Lecoq & Lamotte) Moldenke • CT, MA, ME, NH, RI, VT; throughout. Fields, roadsides, lawns, logging roads, river beaches. 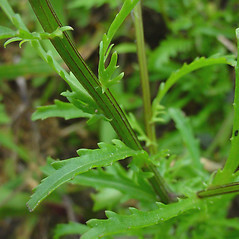 Leucanthemum lacustre (Brot.) Samp. ×L. maximum (Ramond) DC. 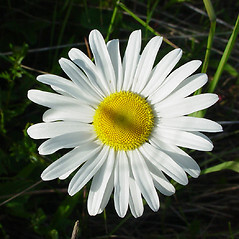 Leucanthemum ×‌superbum (Berg. ex J.W. Ingram) Berg. 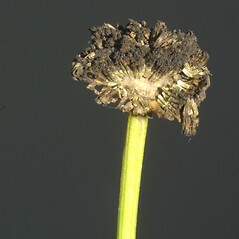 ex Kent is a rarely collected plant that has escaped from cultivation in ME. 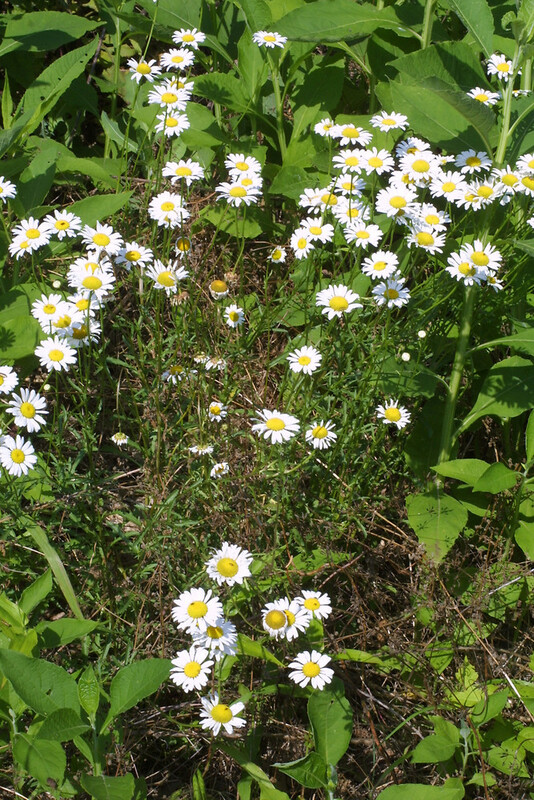 It is one species that is commonly referred to as the Shasta-daisy (along with L. maximum). 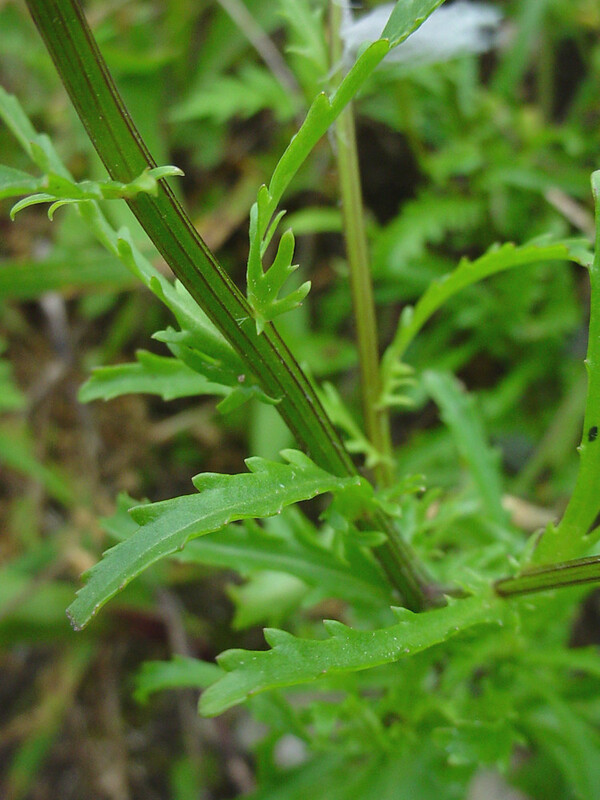 It has toothed leaf blades, capitula mostly 5.1–12.7 cm in diameter, and stems usually 60–90 cm tall (with lobed lower leaf blades, capitula mostly 2.5–5.1 cm in diameter, and stems 10–30 (–100) cm tall in L. vulgare).